The short answer: apply to jobs with an amazing cover letter & resume filled with experience relevant to the position, and take civil service exams appropriate to your experience and what you’d like to do. 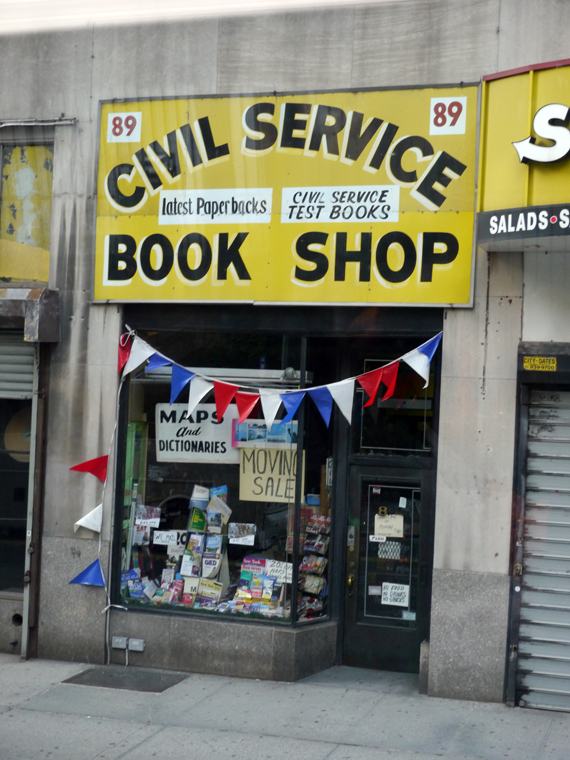 Civil service jobs are generally long term careers that may take weeks to years to obtain – but then they tend to be the kind of jobs you can stay in until you retire. I’m not saying due to the current financial state of the US government & related jobs are all secure – but no jobs are. To see exam info check the website of whatever area you want to work in (posted a few months in advance of offering date, be sure you’re free!) or there are some that are walk-in. Usually exams tend to be offered on Saturdays, but you can have it moved with a letter from a religious leader if needed (I’ve done it a bunch of times). Then they push it off to the Sunday following the exam generally. *Working smarter tip: If you plan to apply to numerous exams for jobs, save your job responsibilities & info to a word or excel doc you can cut & paste from. When you apply to additional exams it does not save your info (yes even though you need to make a login), and it will save you a lot of unnecessary typing. Each position has minimum requirements that you must meet, some may be physical, experience, education or residency requirements of a certain length when you apply for the position – otherwise you’re out your registration money. They don’t generally refund you if you don’t qualify and will notify you by mail a few weeks later – or they may just not put you on the list, even if you’ve taken the exam. Exams vary in cost, but I believe they’re all under $100, which is an incredible investment if you can do well on a timed multiple choice test, since one year after appointment you get “permanency” which is more job security than you’ll get anywhere else. The salaries aren’t the most incredible, but are strong for non-profits, and the benefits & early retirement are great. 55-60ish retirement with a pension? You won’t find that too many other places nowadays. What if you have disabilities? They offer a lot of accommodations, so don’t be alarmed about the test part, look into if they can accommodate you or if you can get an exemption to get on a list without an exam. What if you can’t afford the fee? If you qualify for certain government benefits, you may be able to get the fee reduced or waived. The lists of people who passed the exam are ranked (first by score, then by last 4 digits of your social security #). Then when there are vacancies agencies will call you when they have an opening for an interview. Expect very short notice, usually a few days in advance. You’ll be asked to bring a lot of ID, degrees, proof of employments potentially etc. I believe this is all part of the interview process. If you can’t get your act together quickly, you’re out the opportunity. The lists can take years, generally about 2, until they are released & names get called, so this is a plan to get a long term permanent career – not the way to go if you need a job next week/month. Resume & Career Coaching Services Available! Have you been stuck trying to write an effective cover letter? Are your applications not receiving responses no matter how many jobs of what level you apply to? I’m happy to help! Both hourly rates for assistance as well as packages for a professional resume/application, cover letter, networking leads for your field & targeted advice to help you get the career you want are available. Just email me at resumes@sharon.cc for more information. I look forward to helping you achieve your career goals. I’ll get personal today because a lot of career issues are common. Many people are unemployed, and stuck that way. I hate my resume. I mean it is pretty, thanks to fabulous layout. I’ve done tons of interesting things. I’m on top of all new technologies, innovations, social media, and business news; and I’ve started two successful consultancies. But that doesn’t necessarily get a person an interview request when you’re only submitting to the best places to work along with hundreds-thousands of other people. I’m always telling everyone – here’s what your resume should say, how it should say it, and what the overall feeling you get from it should be. But when you don’t like your resume? You can’t always write a career summary that would explain your situation positively or in a way that would put you ahead of the person who majored in the right areas in school or who obtained and advance degree in an area you want to enter, who then went on to have only progressively responsible positions in your field, and has been in it for 10 years – not too many more or less. That doesn’t mean you can’t do the job better that above said person – but on paper it’s obvious who gets chosen for the interview. You haven’t managed large budgets? You haven’t managed large teams? Don’t have ‘accomplishments’ to brag about that don’t sound like, well, bragging? What’s a candidate to do when they want to work at google or apple? Or some other fabulously innovating company that values and develops their talent – when you don’t have it on paper? 1. Have a simple resume, get a job in a company at the bottom of the ladder (i.e. unpaid internship, administrative assistant, etc. ), and work your way up. This if fine for the young, patient, and ambitious. Especially the males, they statistically do better with this method. Women who attempt this generally stay towards the bottom of the career ladder. 2. Volunteer either in or outside of work for large-scale projects, so you have those accomplishments to put on your resume. This is great if you’re unemployed or don’t have a lot of obligations, as that it’s time consuming – but for someone trying to manage a career, long commutes, and family or other obligations it’s not always practical. 3. Lying. People figure into the recruiters-are-ditzes stereotype and hope their exaggerating what and where they’ve done it won’t be seen through. Ethics aside – people figure ‘everybody’s doing it’, which is unfortunately accurate for a lot of people. Ewwwwwwww. 4. Humor. I’ve seen a woman returning from being a stay at home mom have on her resume, “CEO of Smith Household.” Or, “Executive Director of Childcare.” You can throw in a few things that might help your personality come across to recruiters. I know that whomever is reading my resume is probably sick of looking at resumes, especially ones that all sound the same – so a little fun with it, tastefully, might help get attention. Unfortunately, as you can guess, lying generally gets people the furthest into the interview process. Depending on the employer, often the liar may even get the job. Some jobs you only have to ‘talk the talk’, and it doesn’t matter if you ever did or ever will ‘walk the walk’. But for other positions, actual skills and experience are necessary to do a job appropriately. Once you’re figured out you’ll be back on the job hunt again, bringing you back to the beginning of the cycle where said evil people belong. You be patient. 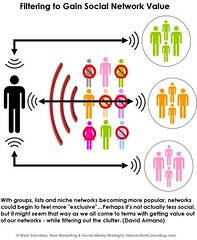 You network. You continue to improve your resume. You follow the places you want to work, be on top of their openings that you’re qualified for. You attend events to meet people who work for these companies. If you have time, offer to volunteer or intern for them. You do everything in your power to set yourself apart from the herd appropriately in all of your social media profiles. You follow people and companies on linkedin. You join industry groups on linkedin. You ask others who were in your boat who’ve succeeded how they did it. You You You…it’s all about YOU, and what efforts you are willing to put in. And then hope that one day it’ll all pay off, as you sit enjoying the view from your corner office of the company of your dreams. Sigh. Dare to dream. Even though most of the time people don’t even say thank you for sending them a job (unless they get it), and even more often they won’t actually apply – take a few minutes a day when you see opportunities for others and forward them on or share them with your social network. Although this has always been an obvious one to me, there are a lot of benefits of helping others in any capacity – but for today let’s focus on helping someone find a job or better job than they currently have. I’m sure every person reading this knows at least one person, if not many who are out of work or who are underemployed currently. Also, especially those out of work: while you’re surfing job boards, when you see interesting jobs that aren’t for you, why not take 30 seconds to send it to a friend or to tweet them to bring them to other people’s attention? I’ve helped countless people find jobs this way. Let’s review a few of these perks so maybe you’ll feel encouraged (or guilty enough) to help someone else. 1. Financial benefit. Many companies offer referral bonuses, ranging from hundreds to thousands of dollars. Generally this comes a few months after the person is hired & passes a ‘probation period’, but usually you’ll see a check at some point for helping that friend of a friend get a job in a different department at your place of work. *Always check your company’s policy – some require that you submit a resume before a person does on their own in order for you to be credited, so don’t tell them to apply online until you know how you can gain from their potential hire. 2. Moral benefit. You just did something good for someone else. You’re not a terrible person at this second for a tangible reason. Now pat yourself on the back and do it again. Do unto others….as they say. 3. Reciprocal benefit. A recruiter once told me something along the lines of that recruiters never have trouble finding a job & always know about new opportunities before others. Why? Because people remember that you helped them, and oft will return the favor one day. While yes it’s a ‘pay it forward’ kind of act to do, you never know when you’ll end up on the beneficial end. 4. Social benefit. It’s a great way to make friends. Networked with someone new? Help them find a new role and you just may end up friends (at least on linkedin) for life. Your child’s best friend’s father was just laid off & will have to relocate the family if they don’t find a job. You help them find a local career, and voila, you just saved your child’s social life and a whole lot of family drama. 5. Brownie points. While not a tangible thing necessarily, HR will remember you as that person who helped them find someone for that really hard to fill role. Referred someone to work for a nonprofit you saw was hiring online? You never know when they’ll look you up to thank you or offer you to join them as well. So these are just a few of the benefits, and I’m lucky enough to have gained them all from helping various people over the years. It’s even how I found my current job. Try it to today, and share what you gain by it. You have nothing to lose. I know I’m always telling people what not to put on their resume. Now I’ll focus on what you do need on your resume not to appear a paranoid candidate – or like you’re more interested in protecting yourself from identity theft than getting a job. Use your discretion on sites where you upload your resume. Depending on their security, amount of access the public or shady employers have to your info might limit what you want to include. Thanks CareerBuilder, but when I uploaded my resume I did not want to be recruited for 1) The US Army 2) Shady work from home scams or 3) Commission only entry level sales positions. Full name. Yes, I’ve seen resumes with just a first name. It’ll make people wonder what else you’re hiding. Email address – you will appear out of touch with technology if you don’t have one. Phone number you’re at during normal business hours – cell ideally – some companies still always call candidates first – so if they can’t get in touch with you easily, they’ll find someone they can reach. Sterile information – your job responsibilities should not sound like anyone could have done them anywhere. 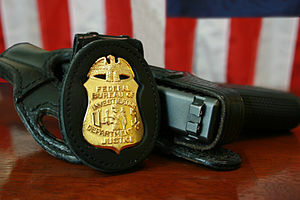 Unless you worked for the FBI or in a similar level of confidentiality, you can’t be discreet about what you did. If you can’t disclose where you did it, list employer as, “Confidential, USA” or similar. If you legally can’t even mention what you did, you’re probably better off leaving the position off your resume, and for the years employed there, note that it is confidential – don’t try to make it sound like you did ‘important things, somewhere’. Same goes for university – yes it’s fine to be polite and refer to your attendance at Harvard at social events as , “I went to school in Boston,” so as not to come across as pretentious, but on your resume is not the time to be humble. So what does the known ‘Talent’ pool have on their resume that you may not? Now I know this all must sounds cynical, and you’ll probably roll your eyes at half of these. I’m not saying even one of them is necessary to be a talented worker or leader – these are just some of my observations of what I see most valued in the business world. Have most of these, and recruiters will be banging down your door begging to make a commission off of you. Awards/fellowships: specific ones in your professional arena, fullbrights, broad scholars, etc. 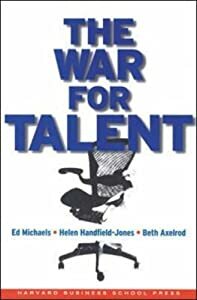 Well for those unfamiliar with the ‘War for Talent’ – start with this wiki – http://en.wikipedia.org/wiki/The_war_for_talent. Next – how and why I disagree with the overall idea that ‘Talent’ is really limited to so few people. I’m not going to say that everyone is competent at their jobs, willing to always give 100%, go beyond what is asked of them, and lead others well – but I also don’t believe that everyone with this potential has been discovered already and only those at the management level of top of companies have it. Lots of smart talented people are always looking for work. The issue seems to be that companies feel there are only ‘so many’ talented people, and they are the coveted platinum of hires that everyone wants. If talent is defined by brains, flexibility, dedication to company mission, and willingness & ability to exceed expectations – who says that you don’t have it, just because you haven’t used it for a company yet? No one, I suppose. Do you think you have that undiscovered talent the business world is looking for? I think I do, for one. And those that I meet networking often feel the same way when they ask me to consider working for their company. But as soon as they ask me to send over a resume, I know I’m pretty much finished if they’re not desperate to hire. So how does one become recognizable talent from their resume? Stay tuned for a later post, I’ll try to chart out office superstar resumes as a whole – what they have that you (and I) are lacking.